I have been teaching and tutoring for over 20 years. I have three teaching credentials: a single-subject mathematics credential, a multiple-subject elementary credential, and a CLAD credential. I also have instructional aide certificate in phonics and mathematics. For younger learners, I have developed a "Phonics Screening" page for the 46 sounds in English for early readers and spellers, and a handwriting system for teaching kids how to print. With regards to math, in enjoy teaching the learning of the basic facts with flash cards with younger student to qualifying for college Pre-Calculus classes with older students who need test preparation. I have all the software and materials to create math tests that meet California Standards for every grade from Kindergarten through High School (Algebra II). I have taught at the preschool, elementary, high school, and college levels. I am patient, I enjoy kids, and I love to teach. Rate details: 90 Minute Sessions preferred. It has been my experience that students do their best work 45-75 minutes into a session. Group rates for multiple students in the same subject at the same time. 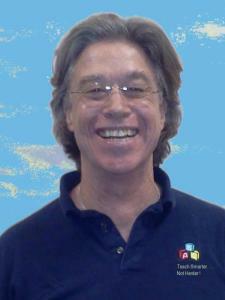 I have been teaching and tutoring for a long time and I have a number of teaching credentials. I enjoy writing and like to teach the complexities of our English grammar to others. As an undergraduate, I got my Instructional Aide Certificate with a Mathematics-major and a Phonics-minor. I got a Liberal Studies B.A. with a Psychology major and a Education minor. In Graduate School, I did my student teaching in the 2nd, 5th, and 6th grades and graduated with Elementary Education (Multiple Subjects)and Mathematics credentials. As a private school teacher for five years, I taught 18-24 K-2 students in a self-designed curriculum - handwriting, phonics, writing, reading, mathematics, history, and music. As a public middle school teacher, I have taught 6-8 graders in science, Math Intervention, pre-Algebra, and algebra. I really enjoy teaching younger students and their sense of humor. I strive to to make my sessions enjoyable and effective. From the basic skills - addition, subtraction, multiplication, and division--through fractions and probability, I am available to give your child the advantage (or extra help) they need in elementary school. As an credentialed elementary teacher, I have developed numerous games and materials that can show us exactly where your child needs help and can show you a plan on how to fix it. I was always a fan of science as a kid. Science makes sense out of the world, and I really liked studying things that made sense. In 8th grade I initiated an independent study of the Apollo Moon Programs by regularly corresponding with all the major manufacturers of the mission's components and systems, as well as with NASA concerning the current satellites in orbit. In 9th grade, I was chosen to attend the first Honors Space Sciences Camp at UCI.As a sophomore, I was invited to become Space Sciences Eagle Scout at North American Rockwell in Huntington Beach. I also took Advanced Biology and Chemistry in High School. In short, I love science and I can teach it well, and it fits in nicely with my extensive math background and experience. I started my study of phonics as an Instructional Aide student in the Goldenwest Tutoring department. I decided to focus on the teaching of illiterate adults. It is here where I got my initial training in how to teach phonics and reading. I graduated with an Instructional Aide Certificate in Mathematics and Phonics. As an ESL tutor for Vietnamese students, and as an undergraduate and graduate student at UC Riverside, I also continued to concentrate on strategies to teach reading, phonics, and pronunciation. As an elementary teacher, I developed a phonics screening device for the 46 sounds in English to help those with spelling, reading, and pronunciation problems. With it, I can quickly pinpoint phonics deficiencies and develop strategies for solving them. The teaching of Phonics is integrally connected to the teaching of Reading. When I was an Instructional Aide student, in the Tutorial Department at Goldenwest College, I decided to begin my focus with the teaching of illiterate adults. It is there where I got my initial training in how to teach Phonics and Reading. As an ESL tutor for Vietnamese students, and as an undergraduate and graduate student at UC Riverside, I also continued to concentrate on strategies to teach Reading, Phonics, and pronunciation. As an elementary teacher, I developed a Phonics screening device for the 46 sounds in English to help those with spelling, reading, and pronunciation problems. With it, I can quickly pinpoint Phonics deficiencies and develop strategies for solving them, which translate directly to helping students learning to read. Learning to spell requires being able to hear the sounds that make up the words and knowing the rules, and their exceptions, that affect the spelling. I have a way to test and teach the 46 sounds in English to your child and I can give you a report that tells you exactly which sounds they know and which they need to learn after our first lesson. With over 20 years experience and 3 Teaching Credentials (Math, Multiple Subjects, and CLAD), I can show your child the easiest and fastest ways to approach a subject and the best techniques for mastering and remembering the material, such as: acronyms, visualizations, flow charts, mind maps, outlines, or memorization with extended images. Study Skills is basically looking at the material, deciding what is important, organizing it (visually and verbally), determining the level of detail that needs to be retained and which technique(s) should be employed. Wow! How do you tell someone about your experience with Vocabulary? I have always loved words. As an 8th grader I used to study the dictionary. At Huntington Beach High School I took Latin for two years. I had my first poem published when I was 16. I have written a book of poetry, a Teacher's Manual, two student workbooks, and way to many papers in graduate school at UCR. Teaching vocabulary is learning to play with words and appreciating the variety available in English. That is what I try to share with my students. How do you become a good writer? You do a lot of it, then you do some more . . . Finally, you learn to edit and say more with fewer words. I know how to write and I can teach others how to become significantly better at it. I used to think that math was something magical and that some people understood it because they were naturally gifted and other people didn't and that's just the way it was. So all through high school I couldn't wait to take my last trig class so I never have to take another math class again. Eventually after a few years of studying Music, English, Psychology, and Socratic Philosophy. I realized that I was afraid of math and that I should challenge that fear. So I took a calculus class and got a tutor. I strive to help my students see that math is reasonable and not magical. I have studied “Mathephobia," so I know how difficult some students think math is and can be. I have developed a number of materials that help me assess and help bring my students to the next level they need to achieve. Math is not magical, you just need a good teacher who is patient enough to help you understand it. I have a Single-Subject Math Credential and have tutored and taught pre-algebra for a long time. Essentially Pre-Algebra students need to have their prerequisite skills (addition, subtraction, multiplication, and division) on automatic. These skills can be tested with flash cards and drills. Next, they need to work their way up through balancing equations (addition, subtraction, multiplication, division, fractions, and combinations thereof). From there they need to learn the language of expressing variables in number sentences and word problems. I can help your student get better and more confident in pre-algebra. I am patient and I enjoy questions. Darryl came prepared to the first tutoring session with sample algebra tests and writing techniques which were very helpful for my son. This was very impressive to me because not only did it help expedite the first lesson it showed me that Darryl took his own time to prepare for my son's session. My son has ADHD which often times can be a challenge but Darryl's approach kept his attention for the entire 90 minutes and he really enjoys his teaching methods. My son's grade is already improving. Darryl is a great tutor! Very patient and he works well with kids. He is able to explain problems in different ways so my child could understand the concepts. Easy to reach on the phone. He is very prepared. We were very impressed with him. I would definitely recommend him. Darryl quickly assessed problem areas in our son's algebra. Darryl and my son would be engaged in conversation about algebra problems and proper solutions and my son would come away from the sessions and say that he was finally getting it. I can tell that Darryl feels very comfortable with Algebra and is a fantastic communicator with students. He can explain things in a variety of ways so that students can understand. He IS our math tutor as I will hire him again and again as needed. Thank you!! Darryl immediately made a connection with my student, empowering him by helping him to successfully navigate the online registration and homework process for class. He was professional, thorough and utilized a variety of tools to help our son with learning disabilities grasp the processes and complete his assignment. He is no longer so intimidated by college math and is gaining organizational and thinking skills that will translate into other areas of school and life. Darryl bonded well with my grandson. He was a great motivator. He evaluated his needs and met them. His skill lessons were appropriate for the grade level and my grandson was successful under his tutelage. Currently, I am a student in an MBA program, majoring in entrepreneurship. Darryl is a great tutor, he helps me with editing my papers. I am very pleased to work with him and I highly recommend him to others who need a writing tutor. I am so delighted how he works up with my son. I know that it's not that easy to deal with my son but he managed to keep him focused on every lesson. Right now, little by little I've seen improvements with my son and I can't wait to see more. I'm impressed the way things are going as far as my son is concern. I would highly recommend Mr. Darryl to anyone who needs help for their kids. Darryl is an excellent tutor, he helped my daughter get an A on her exam. He is punctual, gets back to you in a timely fashion and is great at explaining math in a way my daughter can understand. Overall Darryl is a great tutor I would highly recommend him to anyone! Thanks Darryl. Darryl is very good at explaining Algebra and has caught a couple of bad habits that my son has had that are probably the reason he's tested so poorly. He has also worked with my son on his science and is using some memory techniques to help him remember some of the scientific terms. We are very pleased with his tutoring. 16 year son voiced that he 'understood' Darryl's teaching methods. From a teenager, that's quite a bit! Highly recommended tutor!